Imagine waking up at 3am to the sound of rushing water. You think, what is that? You decide to investigate and when you leave your bedroom and turn on the light, what you are greeted with is the horrifying sight of water cascading down and soaking everything in the room. What a mess! 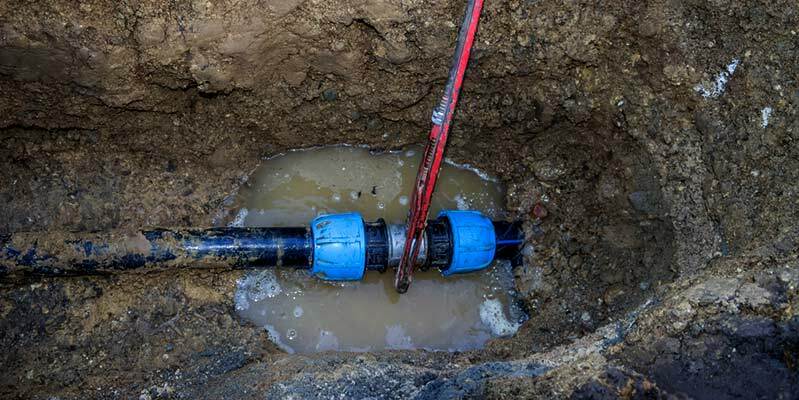 Now you need to act fast and get a licensed plumber over to look after the burst pipe repair in Vancouver. A Burst Water Pipe is an In-Home Disaster that Affects Hundreds of Family’s Across the Lower Mainland Each Year. Did you know a one-eighth inch (3-millimeter) crack in a pipe would spew out more than 250 gallons of water per day? Water damage from burst piping and leaky pipes now accounts for nearly half of the amounts paid out for home insurance claims in BC. Each year, the Canadian insurance industry pays out over one billion dollars in claims to victims of water damage. Water damage can result in high repair bills for homeowners causing permanent damage to carpeting, floors, furniture and electronic equipment, as well as destroy priceless family photos and valuables. What causes pipes to burst? In most cases it comes about after long periods of cold temperatures. When the outside temperature drops below minus 6 degrees Celsius it freezes and expands. This expansion puts tremendous pressure on metal or plastic pipes, and in these conditions pipes with little or no insulation are likely to freeze and break. The second most common reason for pipe bursts is simply due to the age of the piping system in you home. Over time pipes deteriorate. When the pressure changes inside the pipe suddenly, weaker areas are prone to leaking and eventually bursting. This is especially a problem as most pipes are located out of sight in the walls in your home, and smaller leaks can often go undetected until disaster strikes and a flood occurs. There are a number of steps you can can to reduce the risks of water damage and, at the same time, protect your belongings and your home. Know your home/business and potential locations where pipes could freeze. Check around your home or business for areas where water supply lines are located in unheated areas. Wrap exposed pipes with foam, insulated materials or pipe heating cables. Drip your faucets: to reduce the build-up of pressure in the pipes when there are long periods of cold weather, it is a good idea to keep a faucet running slightly to maintain a flow of water though out the piping system. Keep garage doors closed: if there are water supply lines in the garage. It is important to note that if you are leaving for more than a couple of days, it is essential that you take a few precautionary steps to prevent a flooding disaster. First you turn the main supply of water off in your home. Second, turn off your water heater, and finally drain the piping system. It is also a good idea to have a friend or neighbor check-in on your place daily. We see it all the time… If a pipe bursts while you are away, not only could the damage be devastating, but if you don’t take the necessary precaution, your insurance company may not cover the cost of the repairs. It is essential to act quickly to save your walls, floors, foundation, and possessions! No one can deny that owning a home is a major expense, especially if the home is older. When it comes to a busted water pipe, the damage can be serious for your home, possessions, and your family’s health if the mess is not cleaned up properly. Stop the water: First thing, turn off the water flow when you suspect a pipe has broken, even if you don’t know where the water’s coming from. Every family member should know the location of the water shut-off in case of emergencies. After draining all the excess water, inspect the lines coming into your home to determine the exact location of the leak or rupture. Call a plumber: At this point it is time to call in a professional plumber. (Note: a burst pipe is considered an emergency call for a plumber. If you call after hours, usually after 6pm, you will pay more for plumbing services). Bring in a professional drying crew: If the water from the burst pipe is on the walls or ceilings as well as the floor, contact a professional water restoration company. Simply using fans and open windows to dry a soaked area is an invitation to mold, mildew, and could lead to serious illness for your family. At DJ Plumbing & Heating we understand how stressful it is when plumbing problems arise unexpectedly. Your home and your possessions are important. When an emergency plumbing issue arises like a burst pipe, give us a call. Our expert staff is available 24 hours a day to assist you with all your plumbing and heating emergencies. Give us a call anytime 778-227-1119 or email us at info@djplumbing.ca.